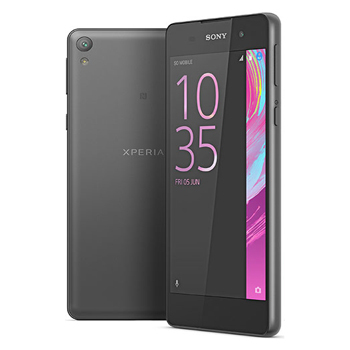 The Xperia E5 features a 5 inch HD display with a pixel resolution of 1280 x 720 and a pixel density of 294ppi. With its scratch resistant glass allowing for multi-touch functionality, the Xperia E5 has a 69.4% screen to body ratio. The device features an on screen QWERTY keyboard with a 12 key input and handwriting recognition. 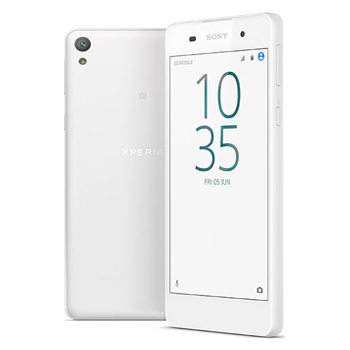 The Xperia E5 measures 144 x 69 x 8.2mm and weighs in at 147 grams. The E5, with its curved edges, has a comfortable grip and is available in Graphite Black or White. With Android Marshmallow 6.0, a quad-core MTK6735 processor and Smart Cleaner function, the E5 delivers a smooth, long-lasting performance. The processor is backed up with 1.5GB RAM and 16GB of internal memory which is expandable with microSD support. The 2700mAh battery gives up to 2 days of life to keep you talking and sharing. Other features include Bluetooth 4.1 and Wi-Fi. The E5 features a simple to use 13 megapixel main camera with auto focus, HDR photo, flash and a 3x clear image zoom for stunning photos every time. There’s also Auto Scene Recognition which adjusts camera settings to suit the shot. The device also comes with a 5 megapixel front facing selfie camera with flash for sharp images and with the sharing shortcut, sending photos to friends and family is quick and easy.